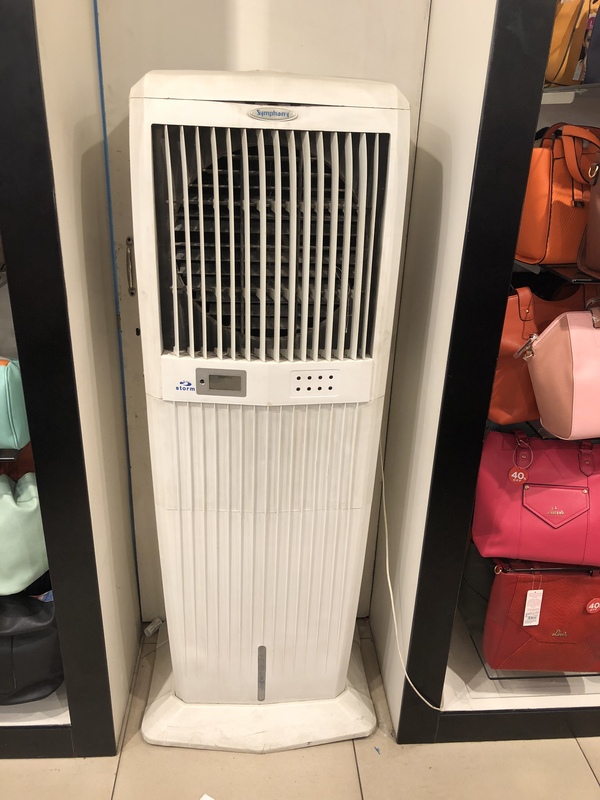 For the first time, I saw a air cooler at a mall store. It is win win situation for everyone. Customer gets cool air, company says electricity expense and good for the environment too. If they are able to get more such orders it would be great. Symphony is at 80 PE. For the long term, 3yrs+, the Stock is now too hot to buy. For the short term, it may give great returns. Great product line, the Indian public has accepted it. A one year silence of this thread seems to indicate people have sold off this stock? Is that a fair assumption? I am in this forum for the last few months. Just wondering why people feel it is not worth to stay invested in this company. I’m invested for the last 4 years here. Haven’t sold a single stock since. Don’t plan on selling either. I would love to add more, but even by historical valuation standards of Symphony… Last 3-4 years, the stock is trading at a massive premium. Furthermore, growth has slowed down too over the last year. Looking forward to the revival in earnings. For me it it was a discovery only last year. But in spite of high valuations I entered. And the price run up continues. 25-30% growth continue to exist in this company for some time to come and hence the bold entry. The pie has to expand a lot with more competitors jumping into fray. And the way economy continues I see it will happen. I did buy some last year too. In August. Though most of my gains have come from my initial purchase in 2014. The promise of growth for years to come - both local and global is the reason I continue to hold the stock and add on declines. Also, the other thing I have noticed is the earnings here don’t grow in a linear fashion. You’ll have a one or two bumper years followed by one or two years of low growth. Overall though it is expected to continue to grow well. Plus the management is really good too. Very shareholder friendly and transparent. They are also very focused on innovation - they keep coming up with new products within air coolers (Damn Cool ). Though I hate their Annual Reports, I think they try too hard with it. All in all a brilliant company to hold and be invested in (at least IMHO). Company’s approach to a seasonal product and book the sales during q2 and q3. Running the company on -ve capital. I have never heard of any other company doing it. The way it acquired the China entity and working through it patiently. ‎The untapped opportunity which exists for it to use from the Mexico division’s expertise. Yes the earnings are more dependent on the warmer weather. And hence the non-linear growth. But more than that, I feel the economic growth and its consequent purchasing power will lead people to buy their product. So the AC and air cooler will coexist rather than displacing each other. And GST may displace the local manufacturers. Already the management sees the early signs of it. Management is frugal. Their move to new office says that story. This in general will be a very boring story of single product company, to discuss off and on. Also it does not generate much interest to discuss, as management is not likely to do any stupidity. however a great business to partner with. a long long run way. valuations is very high, but likely to remain so. but i love the opportunities at times it throws due to nature of business to do some hair cut and other time be opportunistic and accumulate. invested since long. major holding of mine. though i do little opportunistic transaction at times in both directions. Monoline company having a huge untapped market both in B2C and the upcoming B2B. A niche market leader with focus. I have been a fan of Rajiv Bajaj’s views on extreme focus. But while he has the margins and bottom line growth, the market share growth is fluctuating. But this company does the same thing beautifully with no marketing gurus to guide them. Companies like Symphony, Gruh, Eicher are extremely focussed in their own niche. In their own areas, they manage Sales and Margins wonderfully to stay ahead of the competition. Any correction is a good time to buy these steady but wonderful compounders. A business like Symphony is an asset to any portfolio. It keeps compounding its earnings at a decent pace. Plus management seem to be running the business in a very good manner. Innovation and R&D in their core. Negative working capital. New geographies to conquer. Overall a high pedigree business with fanatic promoter. It obviously is always quoting at high valuations. But the returns have been good. Continue to hold as a long term bet until the story keeps building up. 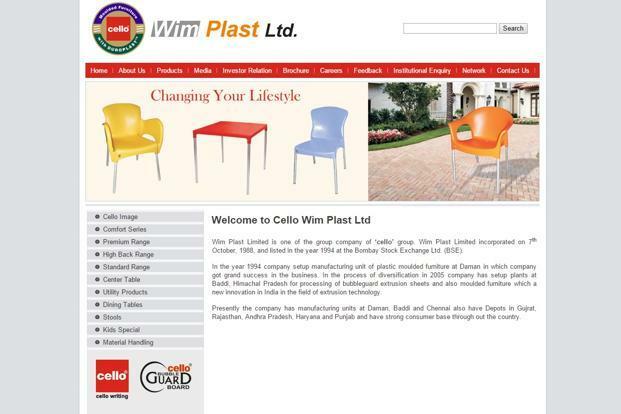 WIM Plast ltd which is Cello Brand having good customer acceptance in Cello products. WIM Plast started air cooler business and having good range of products. Valuation of Cello Air cooler business is not reflected in P/E rating. May be good for long-term investment. 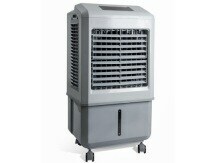 Cello Air Coolers : Do you need or if your're looking for a new high quality air cooler for home, office ? portable, evaporative coolers etc. contact us. Buddy you may want to make a note of this (see link below). This probably could be the reason why the revenue contribution of coolers from Wim Plast are not taken seriously by the market. Also what % of sales do coolers contribute to Wim Plast? If it is insignificant, it won’t matter again. Symphony are very strong when it comes to coolers. Both from an asthetic standpoint and for coming out with new models. Like cloud, touch, one combined with an air purifier etc. I bet they will continue to come out with better looking and newer products going forward too. It is with good reason they are #1 in this space and have ~50% market share (in the organized space). 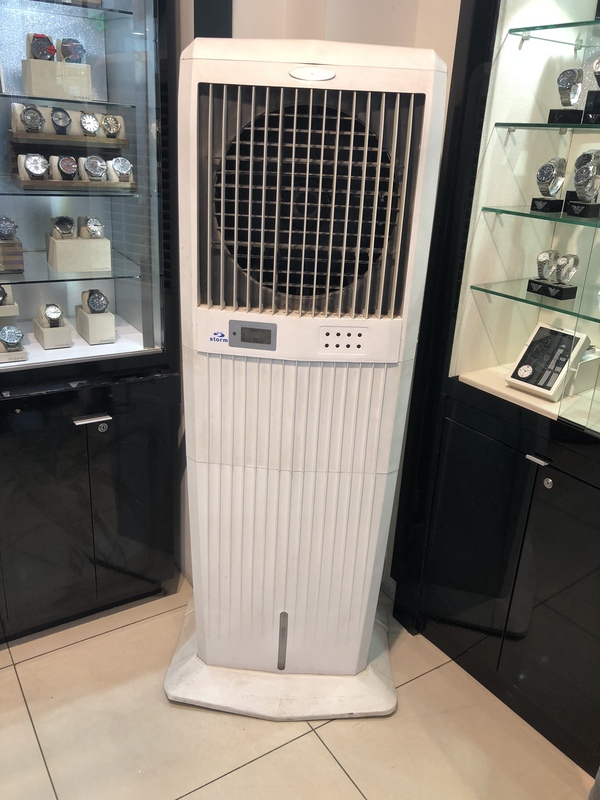 They are a company focused on air coolers and will remain strong due to their focus on this category only. Also I’ll put my neck on the line and say this. I feel the management wants to be like ‘Apple’ in the coolers space (from an asthetics and innovation stand point). Read any AR of theirs or watch Mr. Bakeri’s interviews, he puts so much emphasis on asthetics and innovation of the coolers Symphony makes. Another thing they are strong at is their distribution. Their coolers are available more widely, that plain and simple let’s them sell more than their peers - and they are looking to strengthen it to augment their distribution further. In a arena where the penetration has not reached high levels, any competitor’s entry is welcome as it expands the pie rather than solely eating into the market leader’s pie even if it appears like that for a short term. A good example is how the honey segment played out with the entry of Patanjali against market leader. For few years Dabur’s honey sales growth slowed down. But the Dabur management was repeatedly saying it is not worried while analysts were complaining it lost its mojo. At that time Patanjali not only grabbed a slice of Dabur but also expanded the market to ensure people who were not using honey on regular basis were made to consume it. And few years later Dabur was treated in the market as premium as they did not match the price with Patanjali. So Patanjali was treated as next grade by the market, simply based on price. So those who were moving up the value chain jumped ship from Patanjali to Dabur. And those who switched from Dabur to Patanjali started to return back to Dabur after a short sojourn. That shows how the market leader benefits if he is focused and not shaken by temporary dislocations. Very interesting but honey is in FMCG segment where you can quickly consume it, go find a different brand the next week you need it but air coolers are in a segment where average consumption time is very high in years. Lot of companies are entering air coolers business. It seems there is no entry barrier. There was no Entry Barrier, There is no entry barrier. More the merrier for Symphony to let them fight for residual part of pie and in the process bleed. This is what history tells. Their (WLM Plast) quaterly results segment breakup only shows “Plastics and articles thereof” and “Others”. Where the coolers placed in to and what kind of growth coolers given to topline and bottomline of wlmplast ? Any such figures will help to understand if Cello makes any difference in this area. Any pointers would be appreciated. AR 6-17 states : "During the FY 2016-17, your Company has made a decent growth with introduction of new designs in the market of both moulded furniture and coolers. " So both AR and quarterly results do not report coolers separately and I could not locate any investor presentations.